We get so caught up in the fact that We Are Writers that we often forget to stop and think, why am I doing this? What is your intention when you sit down to put words on a page? Why do you want to meditate? How do you think it might help you in your artistic process, or in your life in general? It would be useful to journal about that a bit (you’re a writer, don’t be shy–get out your pen and paper and have a go at it). Last week we got into the nitty-gritty about time: when to meditate, how often, how much. I started with this because it’s what’s often the big stumbling block for would-be meditators. But the next stumbling block is often having an unclear vision on why they want to pursue this practice. What many people often come with is a vague feeling that something is wrong. That they need help. That they are blocked and stressed and tired and that people are saying meditation works. So they come to meditation looking for a quick fix. It’s not. Nothing of value is. But it does work. In order for your practice to really go deep, though, you have to be clear on why you want to be a meditator. Me? I want to suffer less. We can decide right here, right now, to change things. To get unblocked. To get in flow. To get serious about our writing. To get serious about getting over ourselves. To stop hustling for our worth. And meditation can help us with all of that. 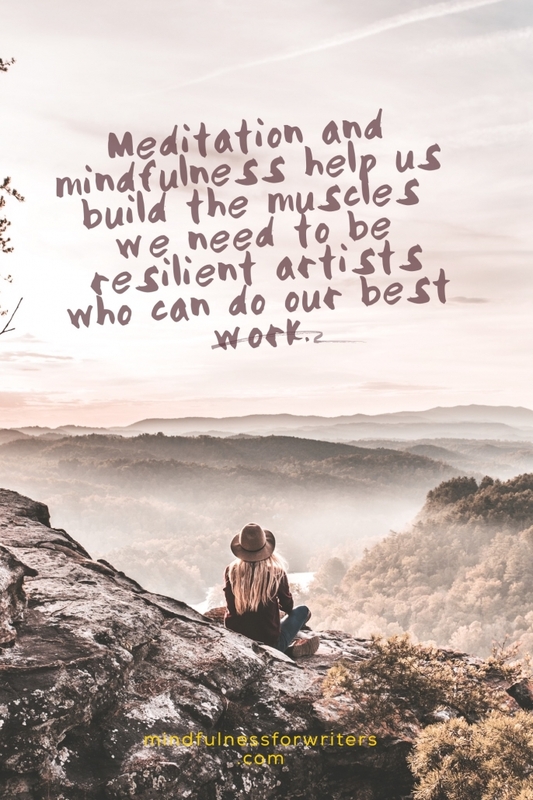 Meditation and mindfulness help us build the muscles we need to be resilient artists who can do our best work and give–and I say this as delicately as possible–zero f*cks about the industry and our inner critics. It allows us to care about the work, about what really matters. There’s still time to sign up for my September online Mindfulness Immersion for Writers course, which will teach you how to meditate and give you the foundation for a lifelong practice, as well as ground you in a mindful writing practice. Also! You can go here to get the 7-Day Meditation Starter Kit for Writers I created so that you can begin your own practice. Downloadable workbook, guided meditations, Posture Clinic, and more. Heather Demetrios (’14) is a young adult author, writing coach, and meditation teacher for writers. She’s the recipient of the Susan P. Bloom PEN New England Award and the author of several critically acclaimed novels, including Bad Romance and I’ll Meet You There. 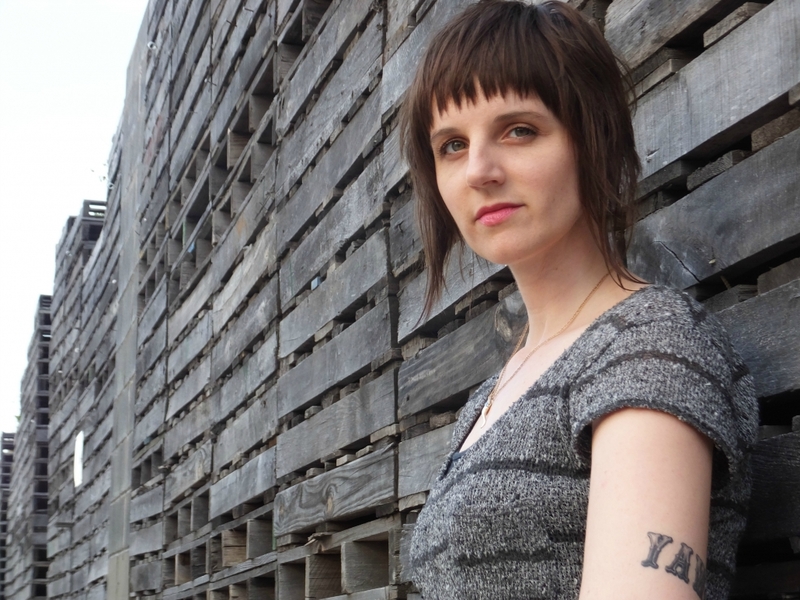 She’s the editor of the upcoming anthology, Dear Heartbreak: YA Authors and Teens on the Dark Side of Love, which features several VCFA faculty and alumni. She lives abroad in various locales, but you can always find her at Mindfulness for Writers and on Instagram (@HDemetrios). Come meditate with her online this September in her Mindfulness Immersion for Writers Course.